Germany-headquartered chemicals company BASF is expanding the compounding capacities for engineering plastics in Europe. It plans to start up from 2017, estimating to additionally produce up to 70,000 metric tonnes per year of Ultramid (PA: polyamide) and Ultradur (PBT: polybutylene terephthalate) at the Schwarzheide site in Germany. Around 50 new jobs will be created, it said in its press release. 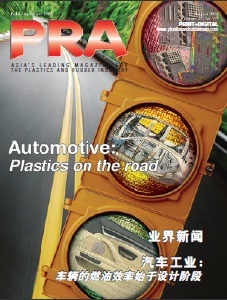 Already in the middle of this year, BASF in Shanghai more than doubled its compounding capacities for the two materials and also increased the capacities for thermoplastic polyurethane (TPU). In Korea a plant for compounding Ultramid and Ultradur started operations in October. Dr Melanie Maas-Brunner, head of BASF’s Performance Materials Europe division also stated that the company is investing in highly efficient plants to assist its customers to meet the increased demands on the materials, e.g. 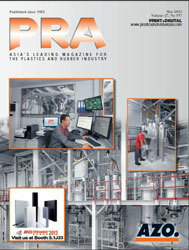 for large-volume and globally manufactured components in the automotive industry. “As a reliable partner we thus support the growth of our customers and help them to overcome challenges such as lightweight construction and emission reduction with innovations, ” she said. The engineering plastics Ultramid and Ultradur are processed into high-performance components in the automotive industry, the electrical and electronics sector as well as in the construction and furniture industries. Examples of such components are car seat structures, oil pans, engine mounts, sensors and connectors, chairs and fixings. The current innovations include the world’s first rear axle transmission cross beam in the Mercedes S-class, the Belleville design chair from Vitra, and also power semiconductor modules from the company Semikron.